Huffing and winded, Pepper’s attention was locked on the stoat arching its back with bristled hairs. Then a glowing mote, followed by another, caught her gaze as they drifted through the atmosphere of the glade. 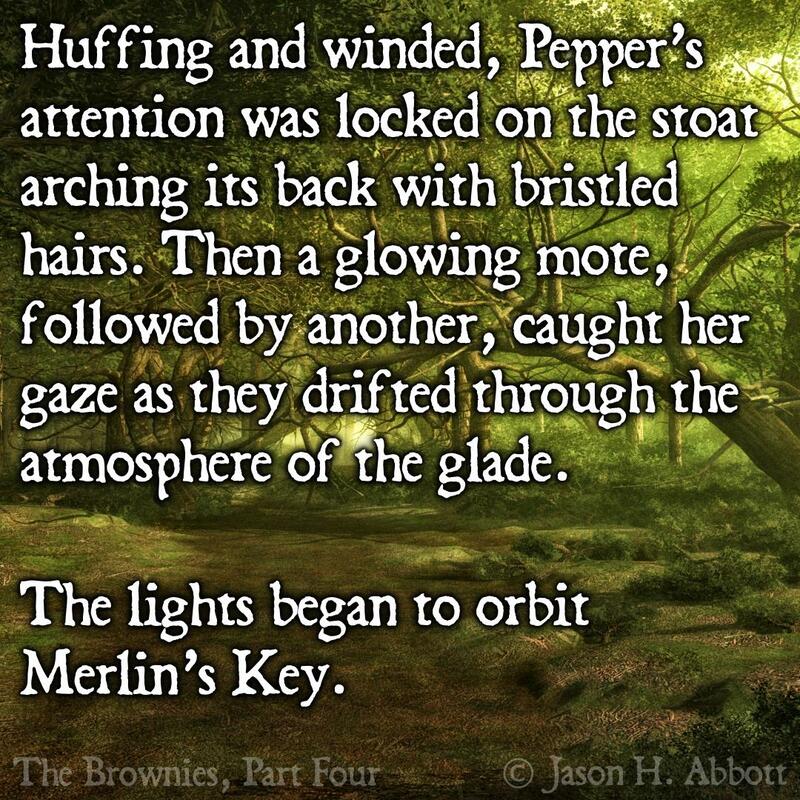 The lights began to orbit Merlin’s Key.